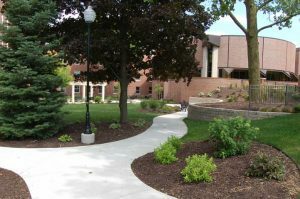 August 4, 2016, Adrian, Michigan – Members of the public are cordially invited to the dedication of the Adrian Dominican Sisters’ Dominican Life Center (DLC) Reflective Garden. The ceremony begins at 5:00 p.m. Thursday, August 25, in the Reflective Garden, accessible through the main doors of the DLC. Following the dedication, guests are encouraged to enjoy refreshments and tour the garden. 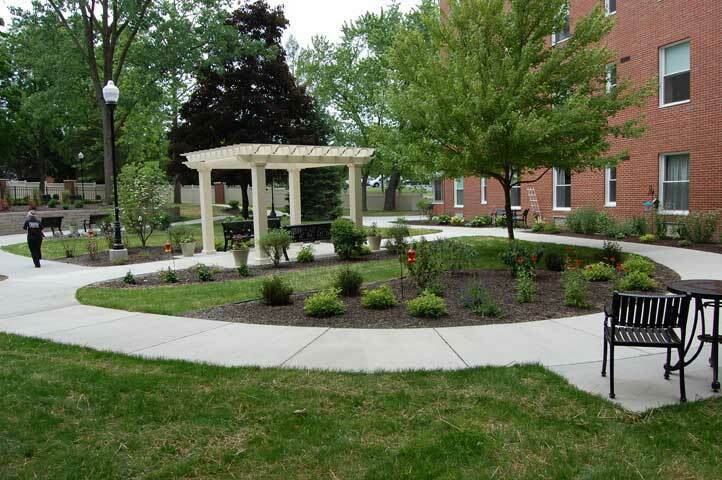 Funded by the donations of generous benefactors, the DLC Reflective Garden is designed as a safe and quiet place for retired Adrian Dominican Sisters to enjoy the outdoors. Special features include colorful and aromatic flowers, a butterfly garden, a walking path, tables and chairs, and specially designed benches. If you plan to attend the DLC Reflective Garden Dedication, please RSVP to Jolene Witt at 517-266-3480 or jowitt@adriandominicans.org.